Plastic Casting Resin Poisoning is the accidental or intentional intake of products containing plastic casting resins. What is Plastic Casting Resin Poisoning? What are the Causes of Plastic Casting Resin Poisoning? What are the Signs and Symptoms of Plastic Casting Resin Poisoning? How is First Aid administered for Plastic Casting Resin Poisoning? Note: In severe cases, surgical removal and repair of the affected portions of the gastrointestinal tract and stomach may be necessary. Who should administer First Aid for Plastic Casting Resin Poisoning? 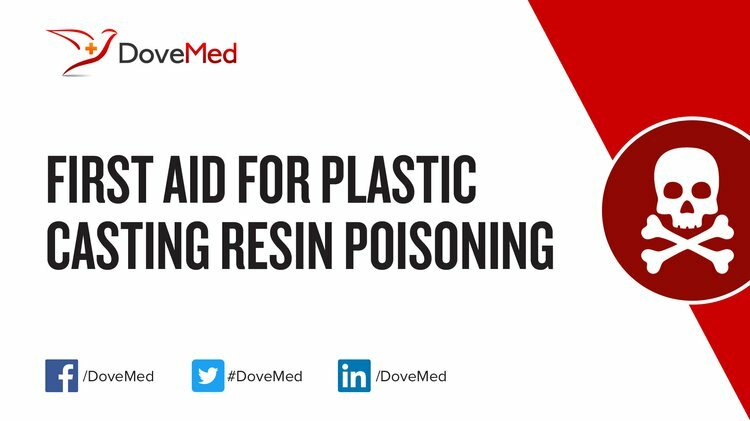 First aid for Plastic Casting Resin Poisoning is administered by healthcare professionals. What is the Prognosis of Plastic Casting Resin Poisoning? How can Plastic Casting Resin Poisoning be Prevented? Freinkel, S. (2011). Plastic: a toxic love story. Houghton Mifflin Harcourt. Lindfors, N. C., & Salo, J. (2012). A novel nontoxic wood-plastic composite cast. Open Med Dev J, 4, 1-5. Aruniit, A., Kers, J., & Tall, K. (2011). Influence of filler proportion on mechanical and physical properties of particulate composite. Agronomy Research Biosystem Engineering, 1, 23-29. Guo, Q., Yue, X., Wang, M., & Liu, Y. (2010). Pyrolysis of scrap printed circuit board plastic particles in a fluidized bed. Powder Technology, 198(3), 422-428. DeMatteo, R., Keith, M. M., Brophy, J. T., Wordsworth, A., Watterson, A. E., Beck, M., ... & Dayna, R. (2013). Chemical exposures of women workers in the plastics industry with particular reference to breast cancer and reproductive hazards. New Solutions: A Journal of Environmental and Occupational Health Policy, 22(4), 427-448. Tandon, R., Gupta, S., & Agarwal, S. K. (2010). Denture base materials: From past to future. Indian J Dent Sci, 2(2), 33-39. Zhang, J. (2014). Development of an in-process Pokayoke system utilizing accelerometer and logistic regression modeling for monitoring injection molding flash. International Journal of Advanced Manufacturing Technology, 71. GUAN, Q., LIU, J., WU, K. F., GUO, X. G., & Li, H. L. (2010). Development of Low Formaldehyde-emission UF Resin Polymer Composite [J]. Development and Application of Materials, 5, 023.